1. Walking does not burn muscle for fuel, so your body is able to burn enough fat (after using up all the carbs in blood sugar) to generate the energy you need to keep walking. 2. Walking is enjoyable and not exhausting. An exhausting jog will demotivate you from jogging again the next day. 3. Walking is a great stress reliever. The open skies, fresh air and oxygen to the brain relieves stress anf creates the perfect environment for thinking. I get my best ideas when I am walking. 4. Walking can be done daily. Jogging cannot, unless you are going a very short distance eg 1km only, or you are a top athlete in perfect condition. 5. Walking on an empty stomach boosts HGH by crazy levels. HGH is the key fat burning hormone in the human body. To turbocharge this process, I want to get back to intermittent fasting ..with my eating window being 6am to 6pm and even then, going very low carb for all meals. I am starting today and want to see if I will get back to my optimal weight in about a week and a half's time. I'm not in bad shape but I need to get back to being ripped like I was a year ago. Walking with my usual weight training should do the trick. To all those who are workout freaks, let us keep each other motivated during the process. Health is even more important than wealth. Without it nothing in this life on earth is worth anything to us. Get a fitbit or an app on your android phone. Just got to the house wet from the rain but proud of my 9.5KM. Like you, I can't hack jogging. But I have been improving my distance. There is a day I did 15KM. Not too worried about kitambi but keeping fit. Thanks for the tip. 9.5k is no joke let alone 15km! Very impressive. I used a pedometer app and also an interval training (tabata) app when doing light cardio indoors. But my biggest weapon is always a very low carb diet. Some call it keto but whatever name people call it it works the same. No faster way to strip off extra "bad" weight and get ripped. Especially when combined with weight training and the walking cardio we are discussing. I gained about 5 kg over the past year and plan to lose it all in about a month's time. Discipline when it comes to working out and healthy eating is a funny thing. In my case I have found that you never go off track in a single day. It starts tu pole pole in a very sneaky way. At one point you are eating all the right things, keeping track of your workouts, in great shape and comfortable in your fitness level and you stay that way for months..even years... The one week you eat something unhealthy that you would not ordinarily eat and make an excuse about it. Several weeks later you are missing one or two workouts a week and eating that unhealthy thing once or twice a week. Two months later you are downing a full platter of nyama choma with fries and not very strict in diet as the workouts reduce pole pole. 4 months later you are working out once a week and eating whatever you want! Slowly by slowly you have gone off track. A year later you find you have gained 5kg just like that. Thankfully I have gotten back on track and plan to keep it that way. Let us keep each other motivated and accountable through this thread. This is also another useful way to keep on track IMHO. I prefer jogging to walking.... jogging is Mr quick fix, you hit the KM's and you off to do other things for the day. Jogging results are faster with keto both (weight/feeling fit). Moderation is the only challenge with jogging so as to avoid monotony/ending up as a toothpick i.e. I better do 10KM twice/once a week once than do 2KM daily you will hate jogging monotony. Music is also crucial for the monotony bit. Walking takes tooo long.... imagine walking in dustbowl/the dust/commmotion/muddy etc. Walking very early morning/late evening vs jogging are two different things. In jogging you can vary speed depending on how you feel if its a bad day or a good day. All in all, the best exercise is what fits you, more fun and can be done comfortably all year round. The choice is more personal. If walking works for you fine. Mr Quick fix for me is jogging. Huku machinani you walk naturally and farming so we are always fit. Plus the food is fres fres fres kabisa, veges, masiwa, etc. Since no much worries about GDP & economy, the . Walking for me is good exercise for the mind. Normally, I can't walk without losing my mind. So if I walk I just wish to keep my mind present and it's so difficult. When I want to exercise my body, then I have to follow a regime that only needs a small space and just free weight most of the time. Walking offers a good deal of fitness, but it offers little in the way of power, flexibility, optimal muscle tone, endurance, reaction, and beauty. Not all people will exercise for the same reasons, but it's important to have a philosophy of exercise. I suspect that traditionally exercise was for spiritual reasons. Because optimal spirituality is an optimal life. The best exercise is for martial purposes. Why exercise if you have no battle or war going on? To say 'It's either running or walking' in my opinion, is to miss the whole point of exercise. Walking is also my choice of fitness regime. I do it early morning before work, also allows me to plan my day. Good points. Jogging did not work for me kabisa. And the mistake I used to make back then was I would do low fat high carb diets thinking fat intake was the problem! This is the big lie that the whole world has been conned into believing..that eating fat contributes most to making one fat! Kumbe ni carbs. And as my body got more efficient I would jog longer and see very tiny results. I do however miss the amazing endorphin high I would get after every jog. One jog in particular that I remember happened on a deserted beach many years ago very early in the morning around 6 am when the sun was coming up. The sand increases the resistance while jogging barefoot which made the heart rate spike even higher. By the time I was done I was on cloud nine. Can still smell the ocean breeze in my memory to this day. Good times my friend. I agree with you on jogging and music. I always needed a good beat to get properly motivated for the jog. After a good workout you are calm and relaxed the whole day. I quite find that walking is quite enjoyable as well..bila music.. hata dustbowl I have done some walking ..but mostly to inspect the nyumbas that people are building like weeds all over the place and getting ideas. Especially after it rains..auuuwwii, that is the best time to walk in the morning. The aroma of breakfasts wafting from houses you are passing by, the fresh sprouts of kei apple fences and crops coming up, the easy going pace of everything...I like that life bro. City noises traffic manenos etc are not for me. Been there done that all my life. Give me a suburban setting on the outskirts of Nairobi, full of open fields, farms, murram roads, nice maisonettes coming up and trees...lots of trees...grevilleas, acacias, nandi flames, silky white bottle brushes, "mukinduri" trees etc etc..and Mugundaman is very at peace with it all. One day I will start a small forest on 30 acres in dustbowl similar to the mzee from Kakamega, just to jienjoy humo humo. Thinking time is I believe the best benefit of those early morning jogs. The brain is alert but relaxed which is why I enjoy that morning walk time a lot. I have seen some kaburus take this to the extreme though. 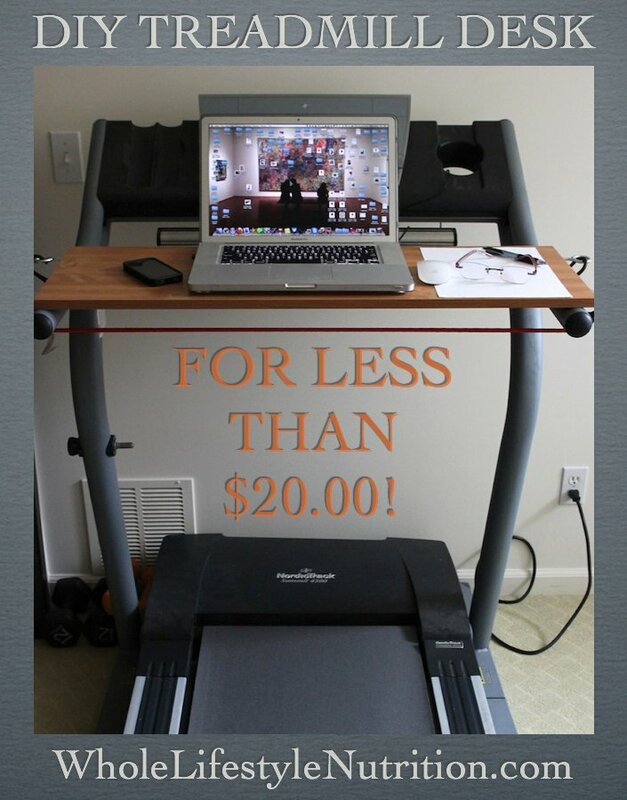 They put a modified treadmill in their home office and work as they walk or jog lightly. I kent. I need to be outdoors and getting my free vitamin D from the sun! How long does it take you to walk 8 or 9 km? That is a loooong distance. Right on about good sneakers. Nothing worse than achy feet after a long walk or jog. 8KM in an hour, that's running !! I do 5 Kms in 40 minutes, walking, I am not the fastest walker in the world, I don't try to improve on this, all I work hard to maintain is consistency, I have to atleast do 5 days a week inclusive of 10 KM saturday morning walk if I am not too hangied. Swenani, you are turning into Double A.. Nitpicking on irrelevancies and derailing a thread into weird tangents. What's your exercise regimen baba? Let us get healthier this year and next. Today I walked quite a bit and with a heavy backpack at that. I watched a documentary a few days ago about Muhammad ali's training regimen when he was world champ. He jogged with boots weighed down with several kilos in metal weights which he claimed made him lightning fast and super fit once he took them off. Having a heavy backpack or weights and walking or jogging seems to kill two birds with one stone by giving both a cardio and resistance training fix at the same time. Add a steep hill or two while at it and one will get super fit very fast IMHO. But Stop having a discussion for the sake of it. If that's what you want, enda base ukule veve mchapiene vako. Telling lies is derailing a discussion but not pointing out those lies. Walking 8km/hr is same as walking 2.2M/s, How many steps/strides can you make in a second while walking considering that you can't make a metre in one stride? Long walk home now for me! Beautiful day outdoors hapa in dust bowl nation! Glad I didn't waste it indoors. 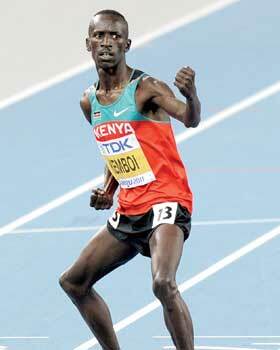 Competitive 10KM walking races by elite athletes is 40 minutes and that is close to jogging/running. Let me stay in my ignorance by stating that no average joe/mary can walk 8-9kms in an hr unless you are an advanced/elite athlete.